Thousands take part in marches across the country calling for Trump impeachment. 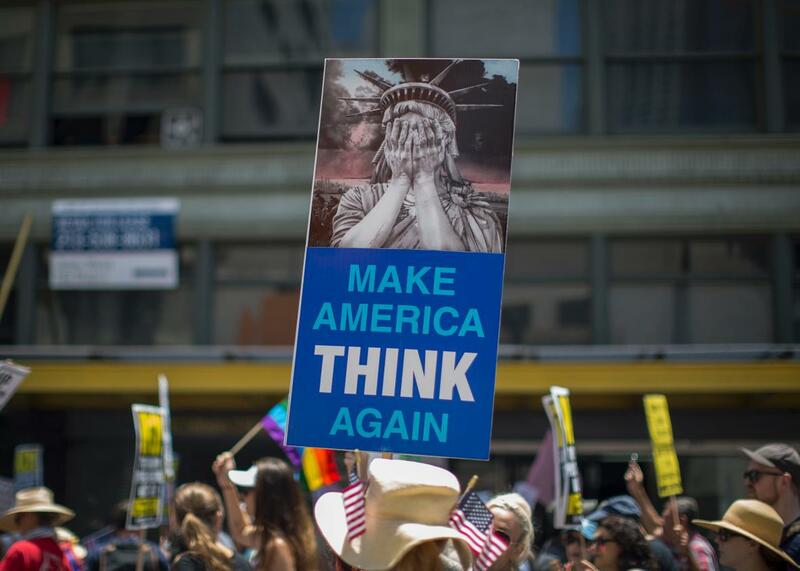 Demonstrators carry signs during the Impeachment March to call for Congress to start impeachment hearings against President Donald Trump, in Los Angeles, California, on July 2, 2017. Protesters gathered in numerous cities across the United States on Sunday to call for the impeachment of President Trump. One of the largest marches took place in downtown Los Angeles, where thousands of people took to the streets to call on Congress to impeach the president. “Every day when I wake up, something is more terrible than it was yesterday,” a 56-year-old protester told the Los Angeles Times. People participate in the Impeachment March on July 2, 2017 in Los Angeles, California. 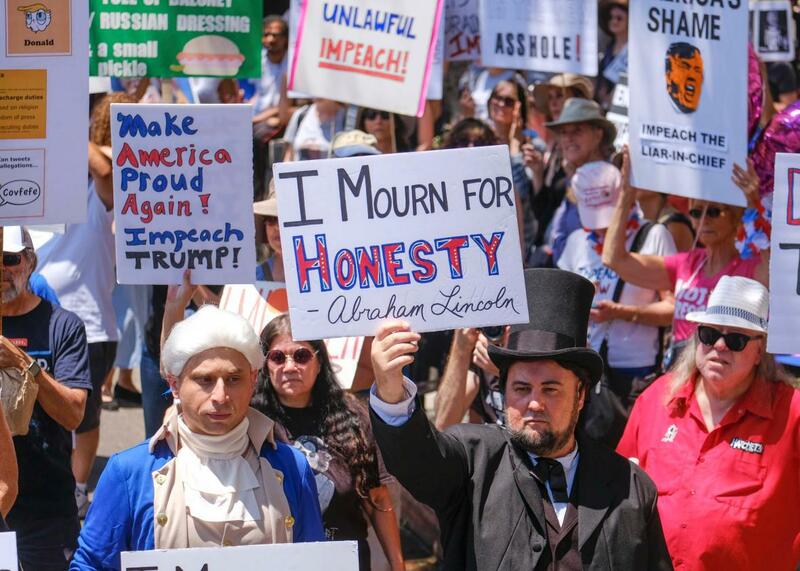 Demonstrators gathered for “Impeachment Marches” in 45 cities across the country that were held two days before Independence Day. “Donald Trump has been in blatant violation of the Constitution from the day he was sworn into the office of President,” notes the event’s website. “It is time that congressional representatives do their job and start the process to impeach this president.” Although there were a few minor clashes with pro-Tump groups in a few cities, the marches were largely peaceful. 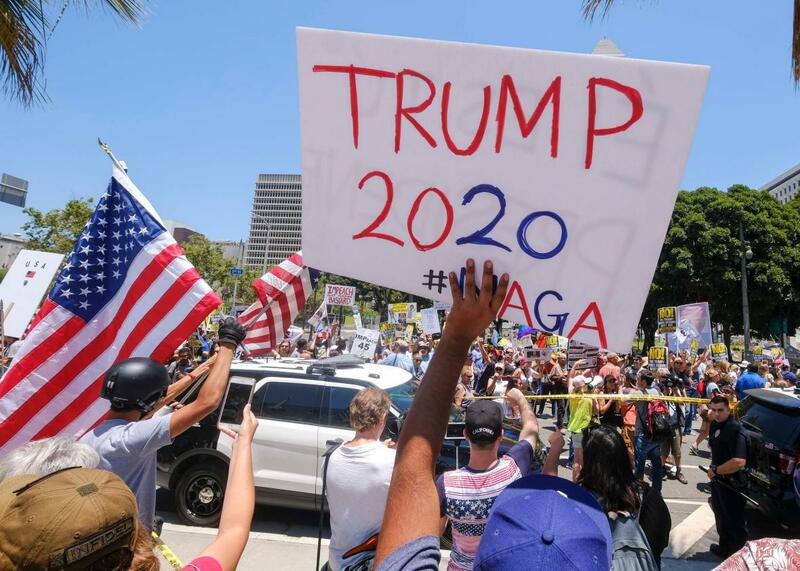 Trump supporters face counter protests during the Impeachment March in Los Angeles, California, on July 2, 2017. In Manhattan, protesters gathered outside Trump International Hotel and Tower. In Austin, Texas, hundreds gathered at the State Capitol while dozens gathered for a parallel pro-Trump gathering. In Atlanta, protesters gathered at Piedmont Park. Protesters also got together at Duncan Plaza in New Orleans. Around 200 people gathered at Denver’s Civic Center Park on Sunday to call for Trump’s impeachment. And in Chicago, a small group of protesters gathered at Federal Plaza.